Welcome to The Dallas/Fort Worth Minority Supplier Development Council Member Community! We are the leader in advancing business opportunities for certified Asian, Black, Hispanic and Native American business enterprises. 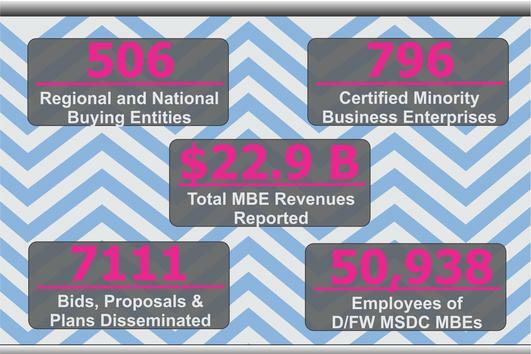 We connect these businesses to our Buying Entity Members (corporations and public sector agencies) in an effort to increase procurement engagement and enhance supplier diversity. MEANINGFUL CONNECTIONS . . . IMPACTFUL GROWTH!